As we’re now in the busy season and Adriana is working very hard for her teaching qualification order acknowledgements will be sent out on Thursdays for the previous week. 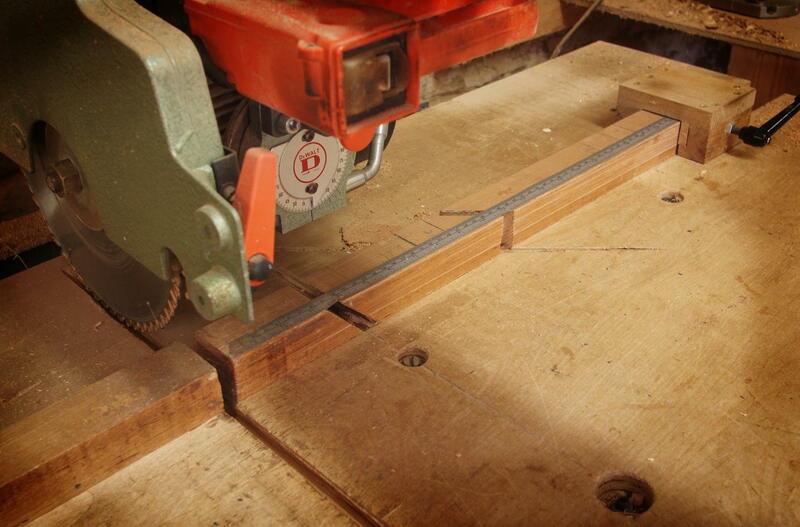 This means that I can get on with making up our High Quality Cedar National Hives and Hive Parts in the workshop. 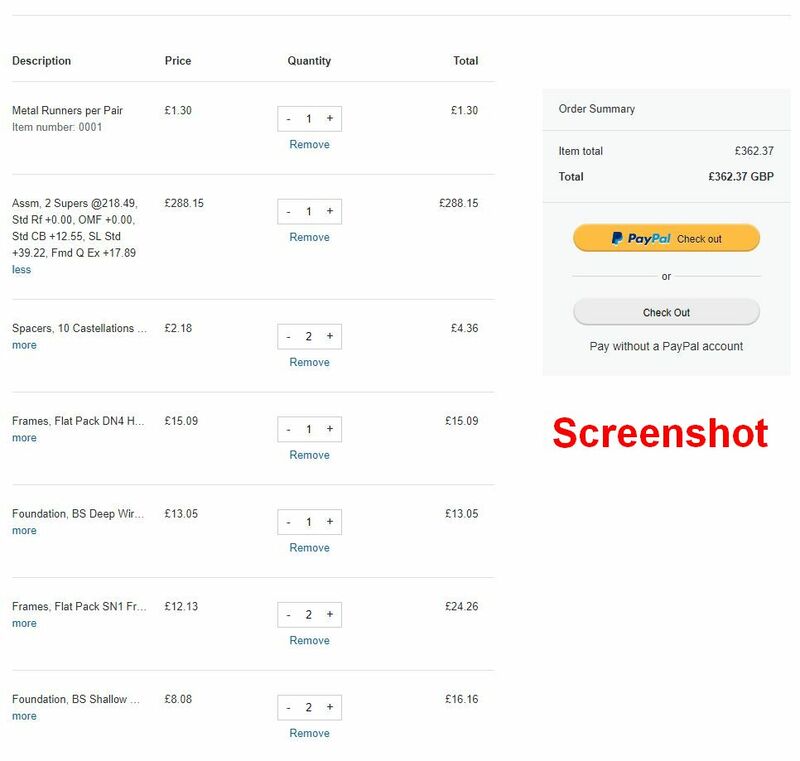 If you place an order with us you’ll get the standard Paypal receipt and then on Thursday we’ll send out a PH number and an expected date for dispatch. At this stage in the beekeeping calendar it’s always difficult to keep up with orders and we thank our loyal customers for your patience. 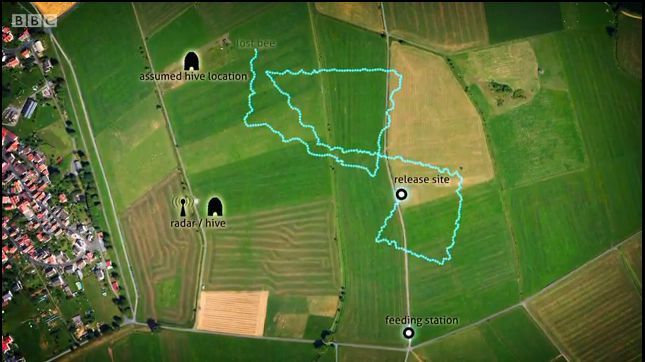 Our bee breeder Helen has sent us details of her super Nucleus Colonies to be supplied in 2019. 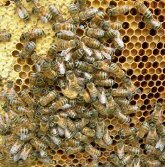 If you’re looking for a Nuc then hers are top quality and you even get a named queen and as an additional service she can come to you to install the colony in your Peak Hives National Hive. A long standing customer wanted me to undertake this ‘special’ and make him a Queen Castle. It’s basically 4 x 2 frame Nucleus Colonies under a single roof. Each side of the Queen Castle has a unique entrance for one of the colonies. 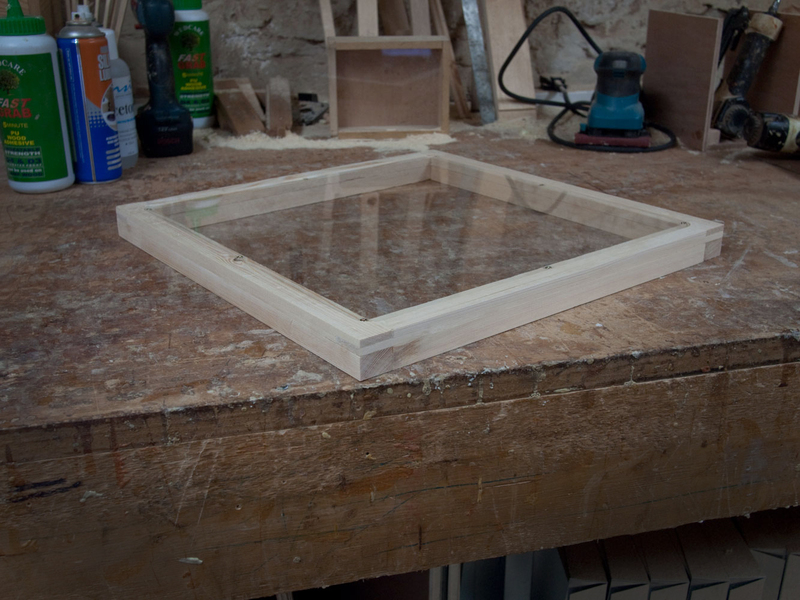 There is enough room in each compartment for two Hoffman Brood Frames and a Dummy Board for manipulation. Hope it works well for H. our loyal customer. 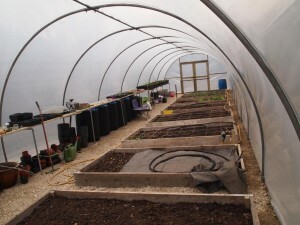 Here’s also a quick shot of the polytunnel. The Veronica Spicata ‘Heidekind’ is in the foreground and the Ceratostigma plumbaginoides (Leadwort) just behind it and the Rudbekia fulgida var. deamii just visible. Meanwhile in the Misting House we have the heated misting bench full of Pollinator Plants looking to go to their new owners. We’re overwintering some plants that have already been sold and will send out to our clients as soon as the weather picks up in the new year. Can’t wait for Spring 2019. 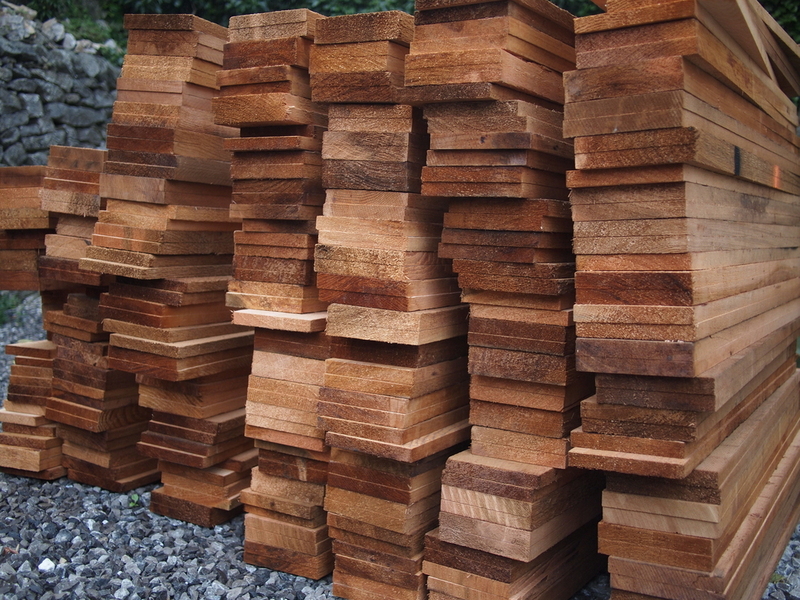 Apart from the ‘specials’ and polytunnel business we’re busy as usual making the mainstay of the business which is high quality hand made Cedar National Hives. A note here on quality. We only use first grade Canadian Western Red Cedar and don’t use cheaper lower quality cedar which we are aware is available and have been offered. 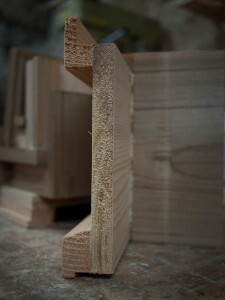 As a business we have opted to keep our quality of materials and workmanship to a high standard on our National Hives. Our long standing customer Adrian is having a birthday soon and as a present he has had commissioned this observation hive. 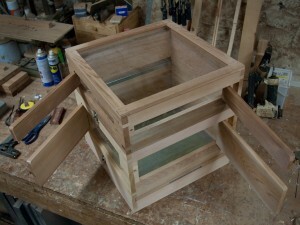 It is a 6 frame 14×12 Nucleus Hive made from Oak and has the observation window piece above with the optional super frame. He collected it from the workshop today and was pleased with the piece. Marrying our love of beekeeping all things bees and an equal love of gardening Peak Hives are proud to announce that we will be establishing a new line in Pollinator Plants. 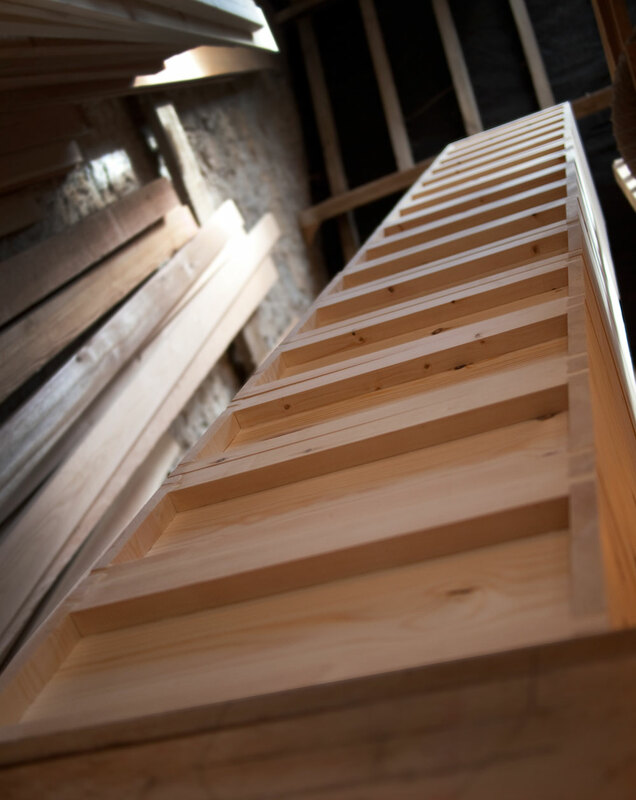 As with our hand built Cedar National Hives made in our workshop from start to finish our Pollinator Plants will be propagated and grown on in our own Propagation House and Polytunnel here in Tideswell. There’s such enjoyment to be had in watching a mass of bumble and honey bees working a plant they love. As a first offering we will be raising both 1 ltr and 2 ltr pots. 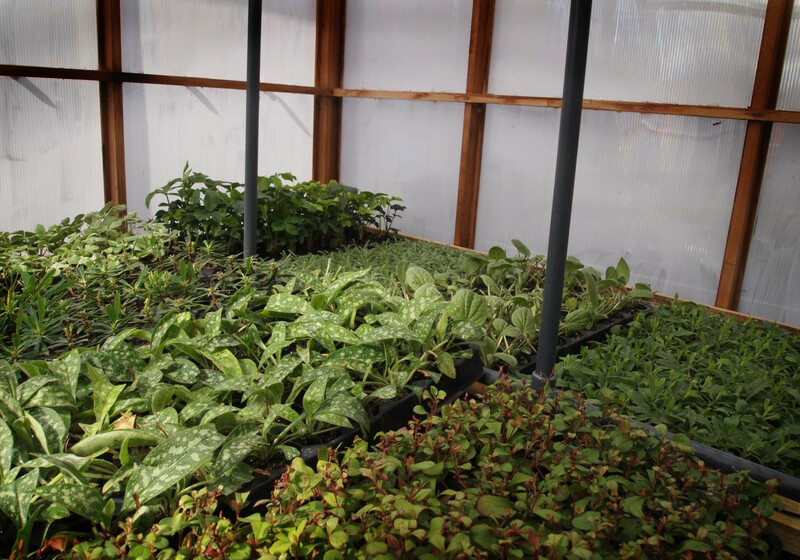 Orders can be placed from now on for delivery in 2019 and the best plants will be selected as orders come in. 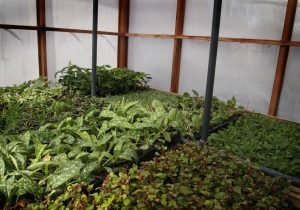 These are plants that we have already propagated this Summer/Autumn and will overwinter ready for dispatch in the Spring. 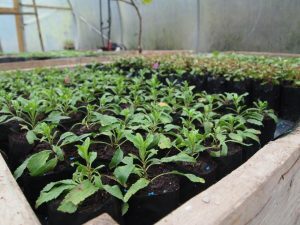 It’s early days but we already have over a thousand plants in pots in the polytunnel. 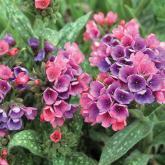 We’ve also added a couple of Plant Breeders Rights varieties as they are such good plants for bees and pollinators. We won’t be able to propagate these until we establish a relationship with the breeder in question (already in hand). Click the link below for details on Helen’s Bees for the 2018 season. Happy Beekeeping to all our customers for 2017! Helen our bee breeder has just sent me some updates regarding her super nucleus colonies for the upcoming season and also the courses she runs for new beekeepers. 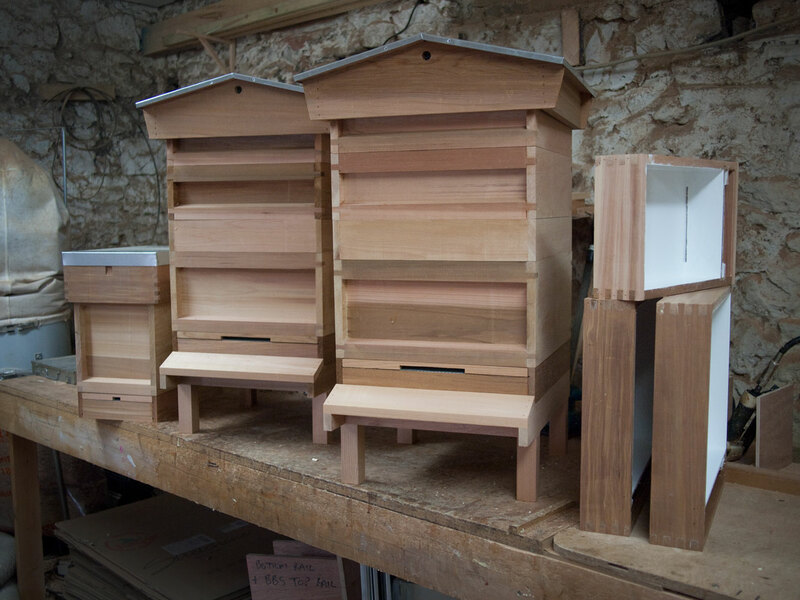 As for Peak Hives we’re busy making our Cedar National Hives and the occasional special request and looking forward to a few days off between Christmas and New Year. 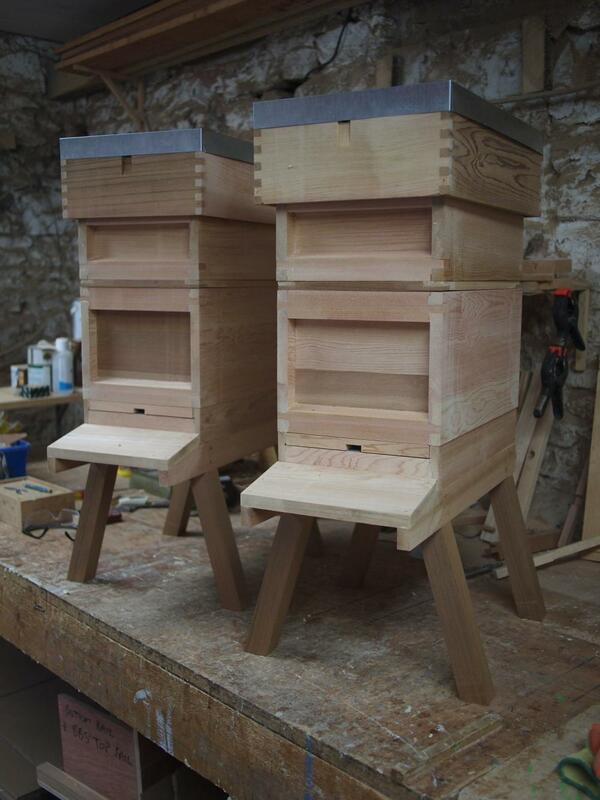 Our National Hives are the ones Melvyn talks to Adrian about at the start of the Programme. It was only after completing the hives for the project that I found that the worker bee was the symbol of Manchester. We’re still very busy in the workshop but have afforded ourselves a few days off during the summer and would like to thank our customers for their patience. 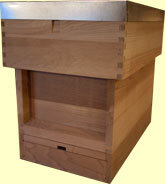 An item that will soon be added to the Peak Hives product line is the Top Bar Hive. 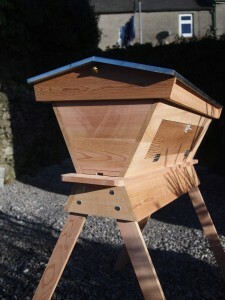 They are proving very popular and despite them not being National Hives we will happily add them to the Peak Hives family. Not directly bee related I know but I do like to put a thing or two about our allotment and polytunnel in the blog every now and then. 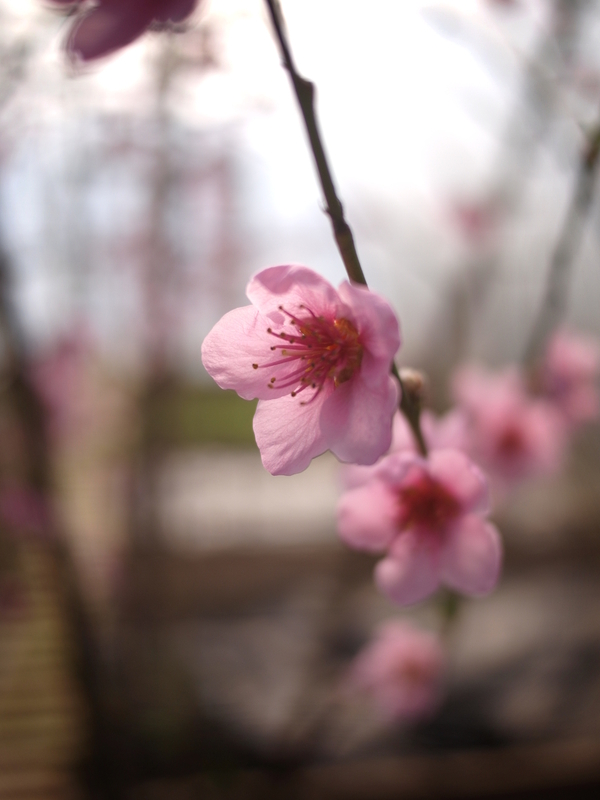 Peach trees blossom very early in the year even before they get leaves and before bees and other pollinating insects are around. So, a tickle with a sable paint brush around all the flowers is the way to spread the pollen and hopefully get a good crop. This is the second year for our peach trees in the polytunnel and they are doing superbly. Last year even though they were only planted the Autumn/Winter before they produced several of the most juicy and surprisingly large and tasty fruit. This year the trees are covered in blossom so it looks like we might be in for a bumper crop. 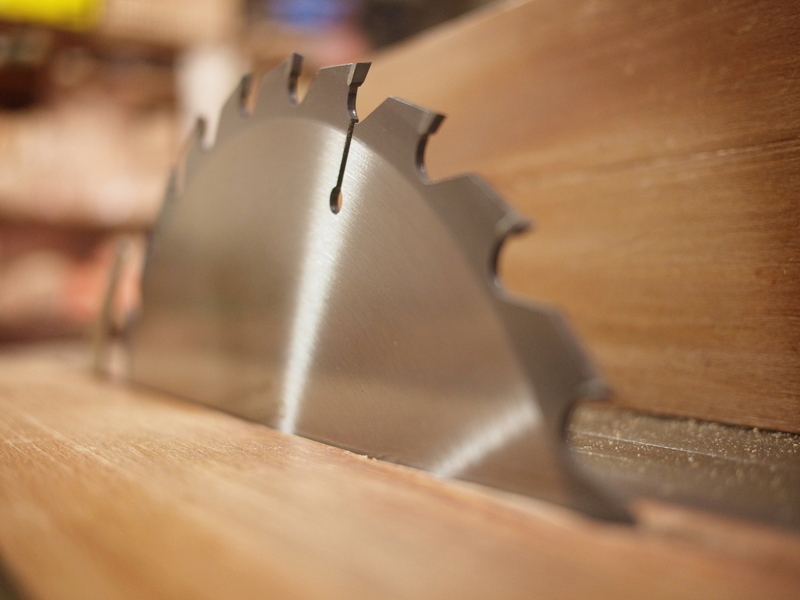 At the start of every beekeeping season I invest in new blades for all my machines. It’s not always so urgent because Cedar is a very forgiving timber to work and doesn’t cause too much wear on the TCT on a blade. 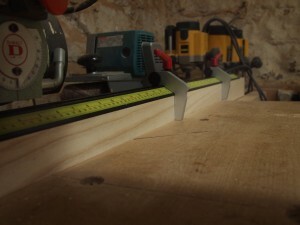 But it’s more or less become a tradition in the Peak Hives workshop and it is nice when the new blades cut for the first time…hot knives through butter!!! We’re now busy with our standard National Hive products so I can’t take on any ‘specials’ until the back end of this season…but I do like the odd Observation Hive or Top Bar. Nice to make a variety of things. 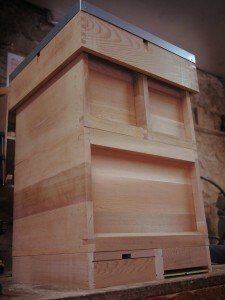 Our customer is returning to beekeeping after a period of some years away from the hobby. Now that she has opportunity again she said she’s really looking forward to getting back into it and has ordered enough National Hives and Nucleus equipment to see her through at least the first season. There’s two full National Hives in Cedar and a Nucleus Hive also in Western Red Cedar. The customer also bought Ashforth feeders for the full sized hives and the Nucleus. I think it’s also time for me to cut a path to my hives kept in my parents garden. They were put out of the way from my father who, when a few years ago was suffering with early stage Parkinsons, would stand right next to them to show his interest. So my bees had to be hidden away from him in the bushes where they’ve remained until now. A machete may be required to beat a new path to their door. Our bee breeder Helen has been in touch with me to say she is back making up Nucleus Colonies after moving house. She’s also running some Beekeeping Courses. In amongst the standard National Hives in Cedar it’s nice to get the odd request for something different. Our client asked for a Palmer Style Double Nucleus Hive in 14×12 size. It took a bit of head scratching and figuring out but here’s the result. The main brood chamber is split into two with two mesh floors pointing in opposite directions so the bees know which entrance is theirs. 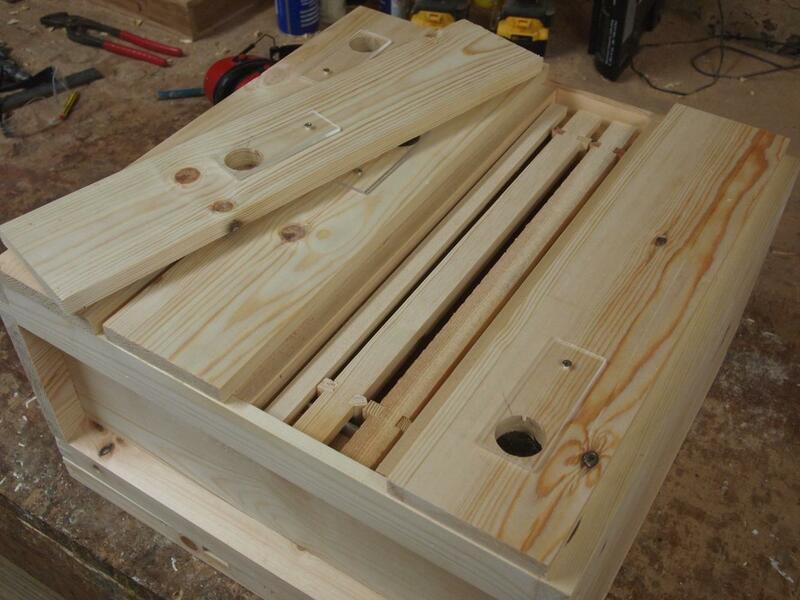 The brood then has two 14×12 height but half width ‘supers’ on top which each have their own crown board with ventialtion holes and porter bee escapes. This is then topped off with a 6 inch roof. I hope our client Simon has a great season with it and we’ll be shipping it out today. Of course our bread and butter standard product is the top quality National Hive and it’s so nice to see that we already have plenty of repeat customers placing orders for this beekeeping season. And a Happy Beekeeping Season for 2016 from Peak Hives! I hope this current unseasonal weather gives way to some more normal sharp frosts and perhaps a bit of snow to keep the children happy. our bees should be fine as we left on a full super of honey and unless there’s some significant cold weather heading our way that should see them through. 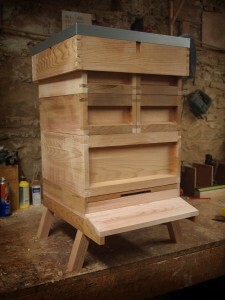 Meantime here’s a picture of a custom National Hive in Cedar built with half sized Supers. The customer didn’t want to be hefting full National Supers around and asked if I could make them 230mm wide instead of the standard National size of 460mm. At peak production times it would be harder to accomodate special requests as we are so busy with Standard National Hive orders there’s little time to find for anything out of the ordinary but in the quieter parts of the year we’re always happy to make non standard orders. These two Peak Hives products are just about to be dispatched to our customers who are getting ready for the 2016 beekeeping season. Thanks to them for ordering during the quieter part of the season! They are a full sized National Hive in Western Red Cedar with a 14×12 Brood Chamber and one of our popular 6 frame National Nucleus Hives along with a Nucleus Hive Super also in Cedar. 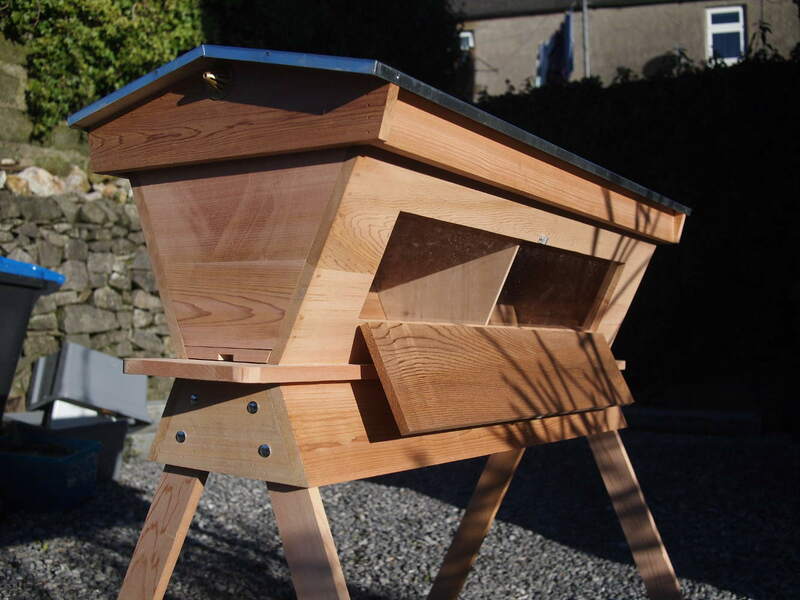 The customer for the Nucleus Hive already had one from us in 2015 and ordered another because he said it had been very useful for queen rearing in his first beekeeping season. On another note…listening to Inside Science the other day I noticed an interesting piece of work on identifying the curative properties of honey. No doubt that debate will go on but it does lean towards there being something of substance to the Manuka Honey/Hay Fever argument. We’re mad mad mad busy making our Cedar National Hives. 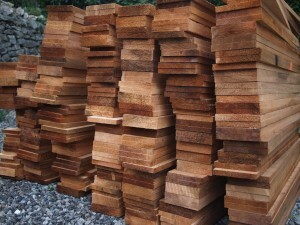 We haven’t had any quiet period this time around as we have fortunately had many returning customers which is great. I’m currently doing 7 day weeks (taking Sunday afternoons off to have a breather and do a bit in the polytunnel) and even so still struggling to fulfill all orders in good time. All the best to all our customers. Our National Hives are still our bread and butter product and we thank our customers for their patience. Here’s a National Observation Hive which has just left the workshop on it’s way to Scotland. Taken some time in the making and I prefer to do these specials when it’s the quiet season so I can spend a little extra time on the machining and getting it just right. Many thanks to David for his patience. 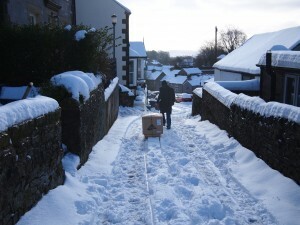 It would have left the Peak Hives workshop last week but we have had a dump of snow and the gritters don’t come up our lane these days so it had to wait until the courier van could get to us. For now that’s the specials done with as we are very busy with orders for our National Hives and looking forward to a great 2015 beekeeping season. After many many requests from our customers I’m pleased to announce that we now stock foundation wax. British Standard in Deep, Shallow and 14×12. We can’t hold a full gamut of wax but we’ve selected the most useful sizes of the wired foundation to stock. Our mainstay is of course National Hives in Cedar and the more economical Red Deal but we want to be able to offer everything you’ll need to get a hive up and running so adding foundation to the Peak Hives product line is a big step forwards for us. It can be found near the frames and plastic frame ends lower down the left hand column. All the best and happy beekeeping for the upcoming season. 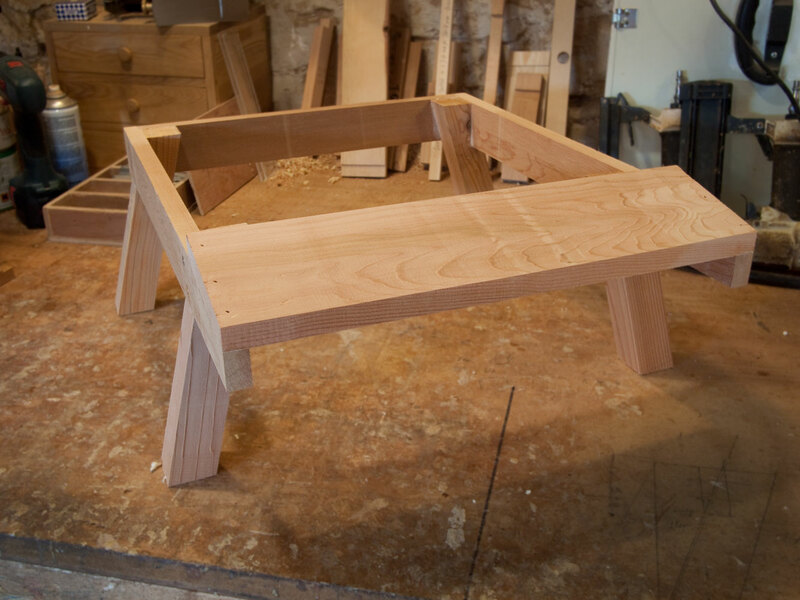 Our customer emailed to ask if we could make a specific height double stand. After exchanging a couple of emails we had a design and at this time of year I can fit in the odd custom job. It’s 700mm high and designed to take two National Hives. I was only supposed to make up a flat pack but got carried away and made it up. Suppose it means I like being in the workshop at least..
From today 26th July all Peak Hives orders will be made up and dispatched after we return from our annual holiday. 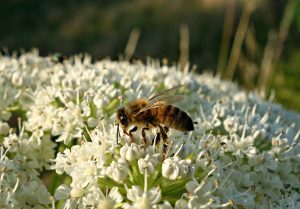 We thank all our customers and hope you all have had a great beekeeping season. There’s been plenty of swarming but it also looks like a good honey crop is coming. 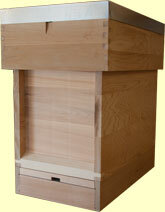 Please feel free to place orders for our National Hive and Nucleus Hives. We will be returning to full production again upon our return. For the growing season 2014! 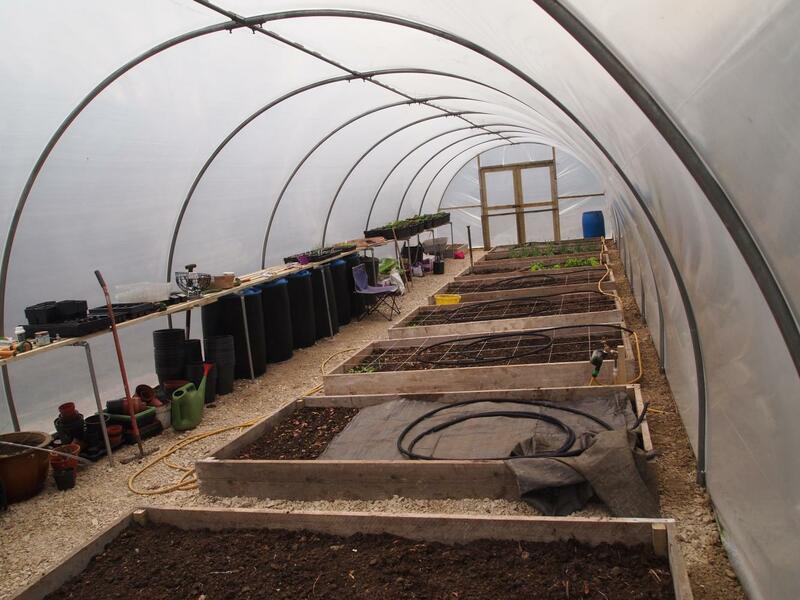 The Polytunnel is now up and running after a lot of hard graft. 54 feet by 14 feet so lots of room to grow in. Apart from the usual toms, cukes, strawberries and peppers the plan is to propagate bee friendly plants for sale through the Peak Hives website. I’ve started off with Cotoneaster which are now coming on nicely. We’ve got 8 raised beds each 8ft by 4ft and a couple of smaller ones for the children to learn a bit of horticulture. One worry is it’s near to our apiary so I’m hoping we don’t have problems with bees getting caught inside. 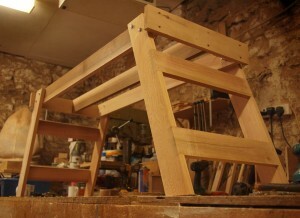 Here’s a picture of recent products coming out of the workshop. 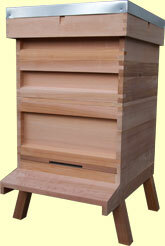 A couple of our popular 6 Frame plus a Dummy Board National Nucleus Hives in Western Red Cedar. The customer asked for extra height on the stands and also ordered Nucleus Hives sized queen excluders and supers. We’re getting busier and busier now that the weather seems to be picking up and I’ll probably have to change the turnaround time soon. This combination of a Cedar National Hive Observation Brood Chamber and Polycarbonate Quilt are to be used by a Beekeeping Association when they run their introductory beekeeping courses later in the Spring. It should allow the novice beekeepers chance to have a very good look at the colony without actually opening up the hive and disturbing the bees. 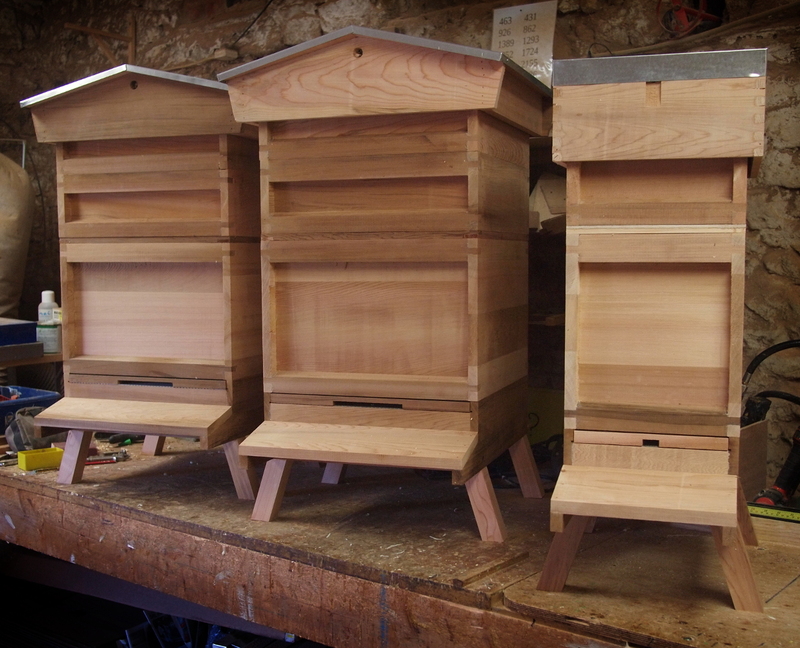 We’re getting busier now that the days are starting to lengthen and people are beginning to think about their apiaries once again. Here in the Peak District there’s still plenty of time for wintery weather so I won’t be going near our bee hives for ages yet. 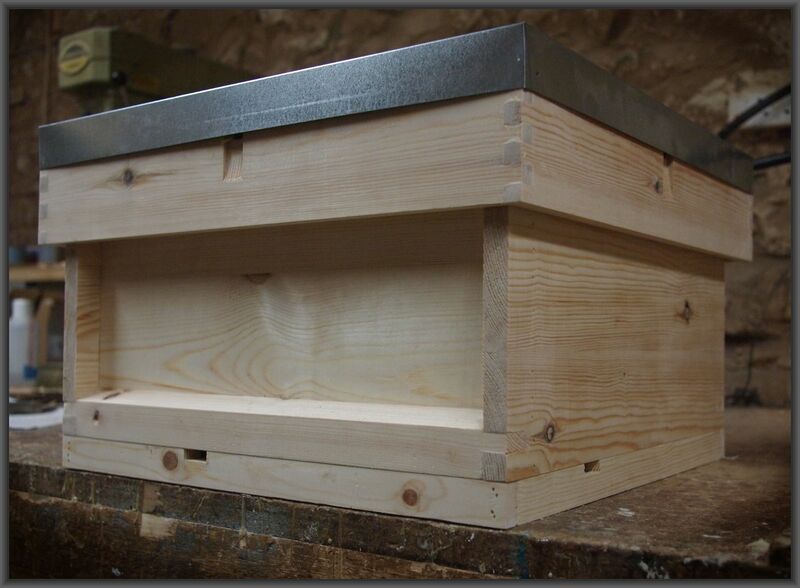 One of our existing clients requested this Top Bar Hive. It’s been a very interesting build and having seen it I’d love to have one myself but alas this is shipping tomorrow to our client. 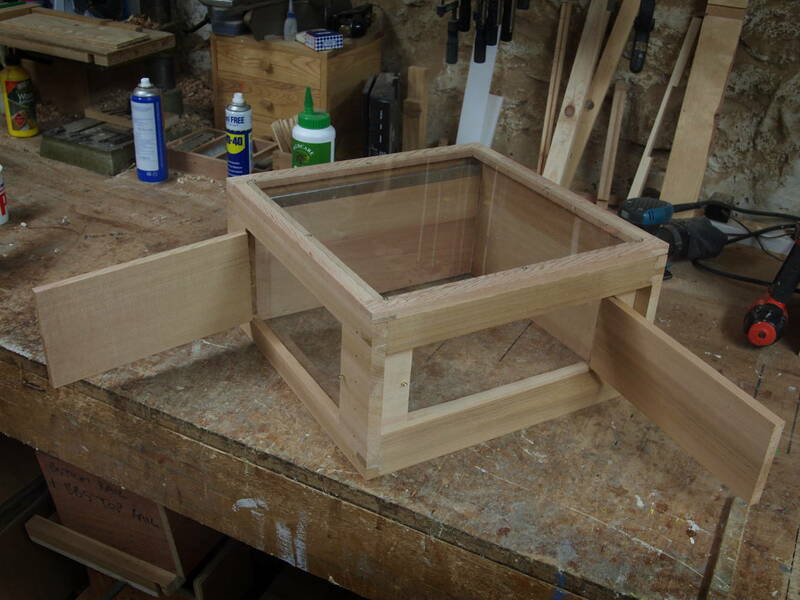 It’s made of Western Red Cedar and has a hinged viewing panel as well as a Varroa Mesh floor and a mechanism for counting Varroa drop. About this time of year I can take a little time away from the bread and butter business of National Hive making and take on these ‘specials’. It has been a bit of a labour of love. I shouldn’t really have spent so much time on it but pride in my work led me to dedicate perhaps rather more time and effort than I should. I can imagine the management of one of these Top Bar Hives is quite different to a National Hive and if I do get time I’ll make myself one for our apiary. They look fun. It will be wall mounted and takes 3 DN1 brood frames and an SN1 super frame as specified by the customer. I was concerned that having only 4 frames it might be too small but the client assures me that they have seen similar observation hives run successfully over long periods. 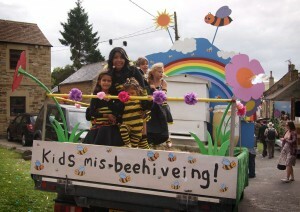 They are also quite well in with local beekeepers so should have assistance on hand should they need it. 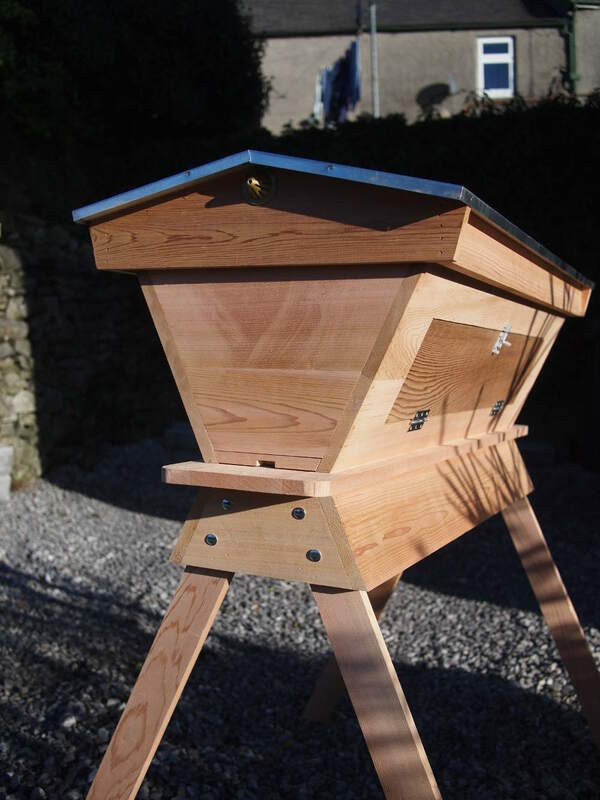 I’m currently discussing with the customer as to whether I travel up to the lake district where the attraction is to fit the hive. Hopefully I will be and can make a weekend of it and do my best to get up Scafell. After having had several customers request these I finally found time to seek out the right mesh and make some up so they’re now added as a Peak Hives product in the left hand column. 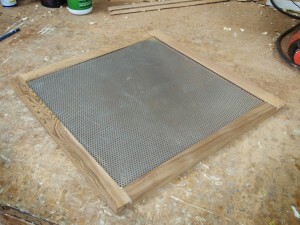 In the past I’ve seen some of these done with quite a wide mesh hole. We’ve chosen to use a small mesh hole to reassure that no bees are going to escape on that journey up the M1. I’ve also added the National Hive 6″ Roof as a flat pack option. Last order of raw materials for National Hive manufacture this season. 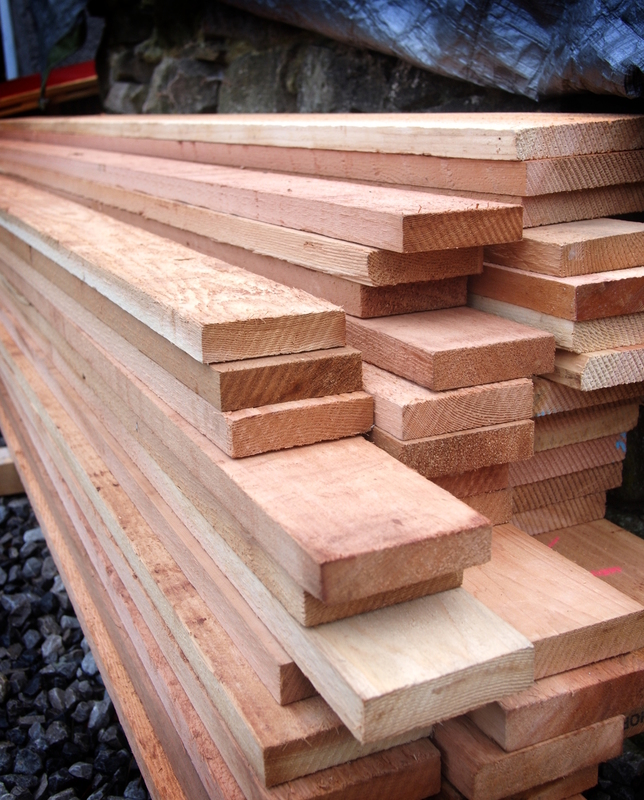 One Cubic Metre of Canadian Western Red Cedar. Together with what’s already in the store we should have enough for our National Hive and Nucleus Hive orders up to Christmas. It means I can spend a bit of time at the end of each day out of the workshop on other projects and the current job is erecting our polytunnel. 54 feet by 14 feet with double doors at either end. Should be just what we need to extend the growing season up here in the Peak District. Apart from Strawberries etc we will also be using it to start a micro nursery of bee friendly plants. 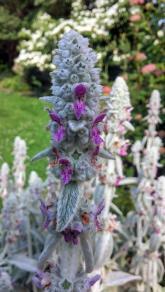 I’ve an extensive list of plants sent us by the British Beekeepers Association and need to decide on a couple of dozen which are not too difficult to propagate to get started. It’s back to the workshop tomorrow. We still have a large order book for our National Hive products and it will be hard going after the holiday but customers are waiting. Beekeeper and journalist Bill Turnbull has made an interesting program for Horizon re bee decline. Amongst other reasons for the problems our bees are experiencing presented in the piece was the role of the controvertial pesticide ‘Neonicotinoids’. They act on the insect nervous system and a compelling piece of evidence was submitted when they showed bee disorientation after exposure to ‘Neonics’. 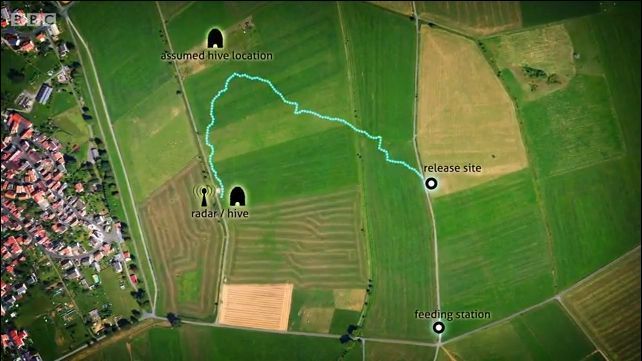 I’ve grabbed the screen from iplayer showing the flight path of bees exposed to the pesticide and bees who haven’t been exposed. According to the program the test results have been validated using hundreds of bees. Once again at the centre of the controversy is big money. Bayer/Monsanto. The UK government lobbied heavily and voted against the current EU 2 year moratorium on the use of Neonicotinoids. After a very busy season making our Cedar National Hive beekeeping equipment our annual holidays are coming up so any orders placed from today 02/08/2013 will be made up upon our return in the first week of September. Many thanks to all our clients new and old. 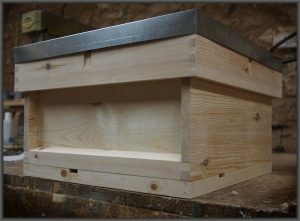 Added to the hive options and also added into the left hand side bar of the Peak Hives site now is our new 6″ National Roof. It’s been something asked for several times and I have made it FOC as a special but as it’s a pretty popular option I thought I’d add it to the product line up. Bees aren’t the only creatures to ‘make increase’ and our expanding brood has ended up in my buying a new ‘people carrier’ vehicle. Had a tear in my eye when the old Berlingo went but the new car’s been well received by the family so a good buy overall. Had the PH logo done on the back again by Hotline Signs in Buxton. Looks a treat. 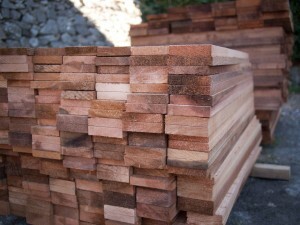 Here’s the latest batch of Western Red Cedar delivered to the workshop. We now buy it by the cubic metre. It doesn’t sound like alot but we’ll get quite a few beehives out of the couple of cubic metres in the picture. Finally, here’s a picture of an ‘Apiguard Quilt’. The customer suggested it and we try to please. It should do the trick quite nicely as it would allow a quick peek to see if the treatment has been taken without disturbing the colony. 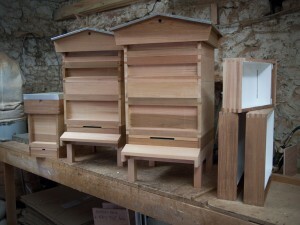 Latest lineup finished today in the Peak Hives workshop. The customer is, I believe, writing an article on beekeeping for a National Sunday Supplement which we’re very excited about. Would be great to see some of our National Hives in a widely distributed Sunday. Apart from our website we don’t advertise and we’re always busy so the thought of a deluge of orders the Monday after publication is a little daunting but in today’s economic gloom it’s definitely better to be worried about having too much work than too little. 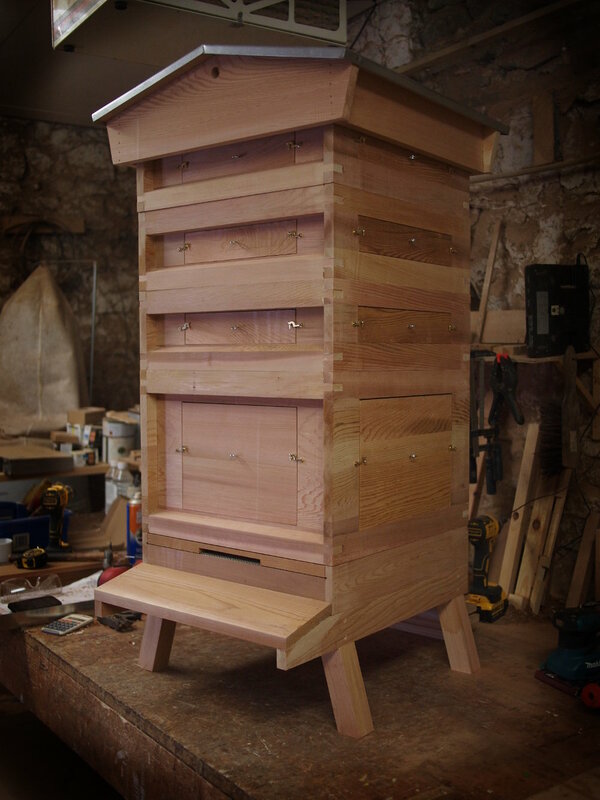 Each hive comprises of National Stand, National Brood Chamber, 14×12 Eke, 2 Supers, Framed Queen Excluder, Apiguard Crown Board, Gabled Roof, Ashforth Feeders, Top Bee Space, all in first grade Western Red Cedar. The Nucleus Hive is one of our own popular 6 frames plus the supplied dummy board with a varroa floor again in Cedar. 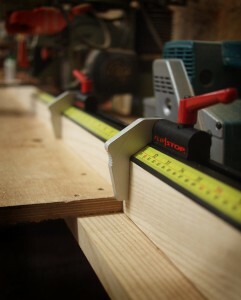 Given that we’re due about a foot of snow overnight it’s unlikely to leave the workshop tomorrow. Just have to work round them until the courier can get! 66 National Hives – One Order! On Monday I delivered Peak Hives biggest order to date for our Cedar National Hives to our customer in South Wales. They are involved in a transnational project regarding bees and biodiversity and a part of the project involved running apiaries and educational workshops in their area. For sensible reasons I won’t say exactly where they are. They had already taken a delivery last season from us for 33 hives and were happy to then go on to order another larger order. Many thanks to Rob, Gareth and all involved in the project for placing your orders with Peak Hives. It’s been a big job for a small business like ours but I finished off the last Varroa Floors on Friday and can now get back to the standard order queue. Thanks to all Peak Hives customers for your orders and your patience. A very cross section indeed. I’d made this National Brood Chamber up out of first quality cedar and after sanding it and finishing with metal runners placed it upon the rest of the order I was working on. Summat not right there! I’d made the sides about 35mm too short! So after a mild curse it was destined for firewood. Makes a nice cross section of a Brood Chamber though so here’s a piccy before it went on the fire. 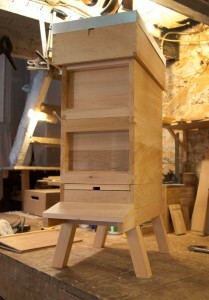 One of our school customers wanted an observation hive and sent me an image of one they had seen to see if I could make a copy. They also wanted it to be compatible with frames taken from their existing Peak Hives National Hive so as to facilitate colony management etc. The photo they sent me was of a hive based upon the Langstroth so it did take a bit of modifying to make it National Hive compatible but here’s the result. 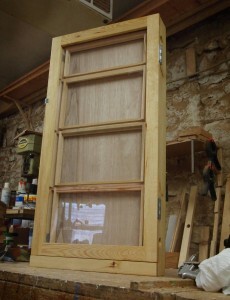 As you can see with the hinged doors open and the polycarbonate quilt it will make for easy viewing of the entire colony. I added toggle latches to hold the floor to the brood chamber and to the modified super above the brood so as to make sure there weren’t any mishaps whilst the hive was being observed. I’m pleased with the result and think our client will be too. We’ve been having a nightmare getting deliveries out as we are well off the route the gritters and ploughs cover. If there’s a hint of snow in the UK Tideswell always gets it bad. One customer, Jim from Sheffield, decided to pick up his flat pack National Hive from the workshop but he had to abandon his car in the centre of the village and walk the rest of the way. After boxing up his hive it was clear that carrying it wasn’t on so Jim’s order became the first Peak Hives product to be delivered by sledge. Thanks for bringing the sledge back Jim and happy beekeeping! From all of us at Peak Hives to all our customers, past, present and future…have a wonderful Christmas. Our colonies here in the cold, wet and windy Peak District have been tucked away with a kilo of baker’s fondant and a slab of insulation on top of the crown board. 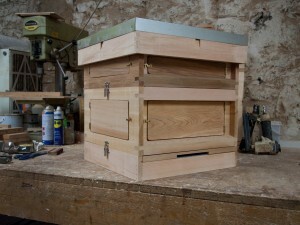 I’ll heft the hives in Jan 2013 and put more fondant on if needs be. Here’s hoping all your colonies make it through the winter and ever the optimist let’s look forward to a bumper honey crop for 2013. 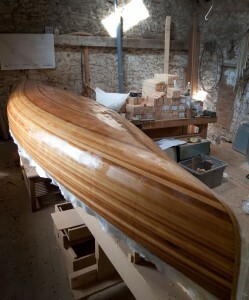 We’re back from our annual family trip to the Vendee and back into the workshop. 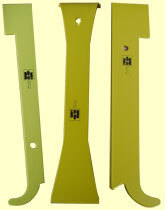 As with all Peak Hives products it is manufactured to National Hive standard dimensions. 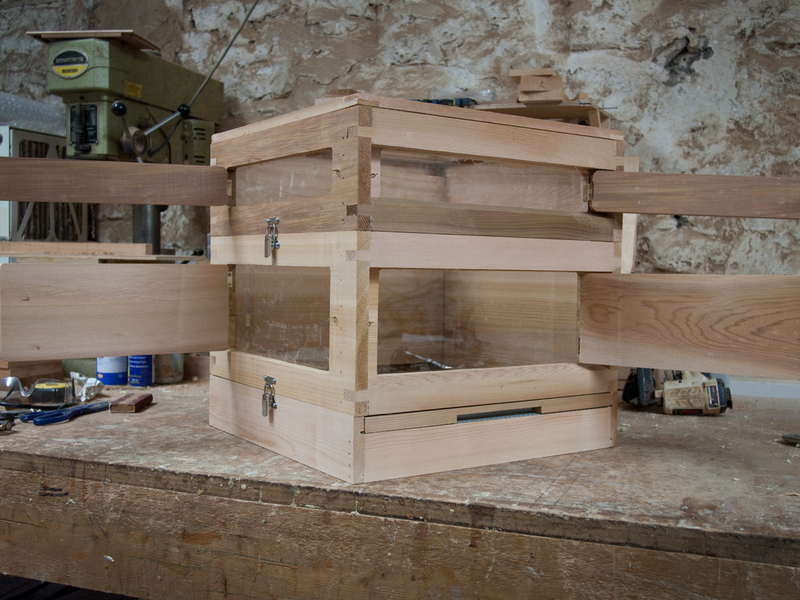 But we do our Nucleus Hives for 6 frames plus a dummy board (supplied) for easier manipulation. What do you get when you cross-pollinate bees and the Church? 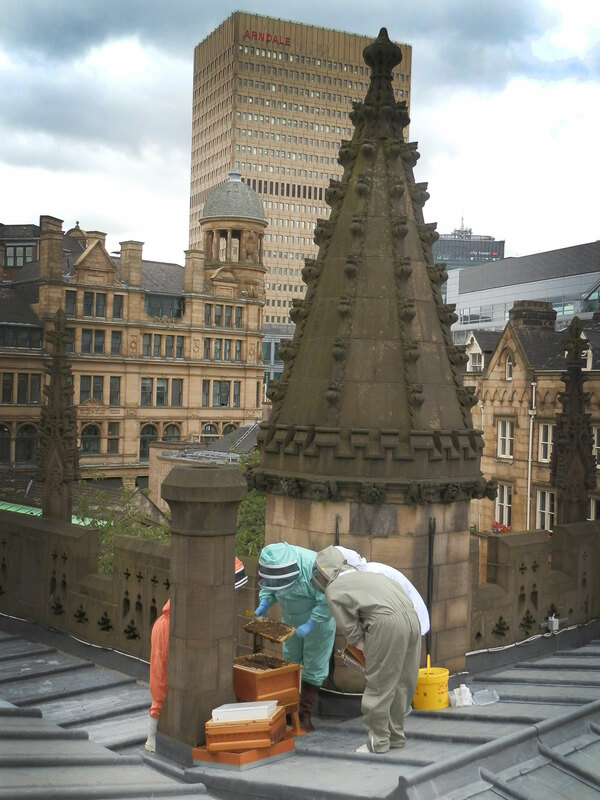 A Peak Hives National Hive on top of Manchester Cathedral! 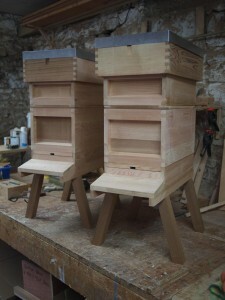 Many thanks Adrian for choosing Peak Hives to supply the project. Quick shot of the order finished today. 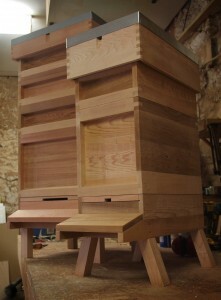 Two Nucleus Hives in Cedar with Varroa Floors and our new Splayed Leg Hive Stands. At Peak Hives we put as much work and attention to detail in making our Nucleus Hives as we do into making our full sized National Hives. 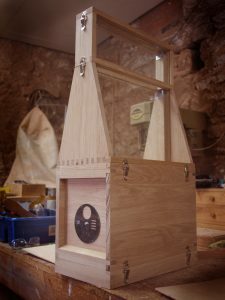 In fact the time it takes making one is not far off about the same as making a full sized hive as they have essentially all the same components but scaled down. 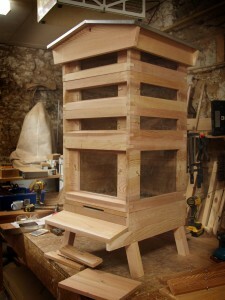 Stand, Varroa Floor, Brood Chamber, Crown Board and Roof. 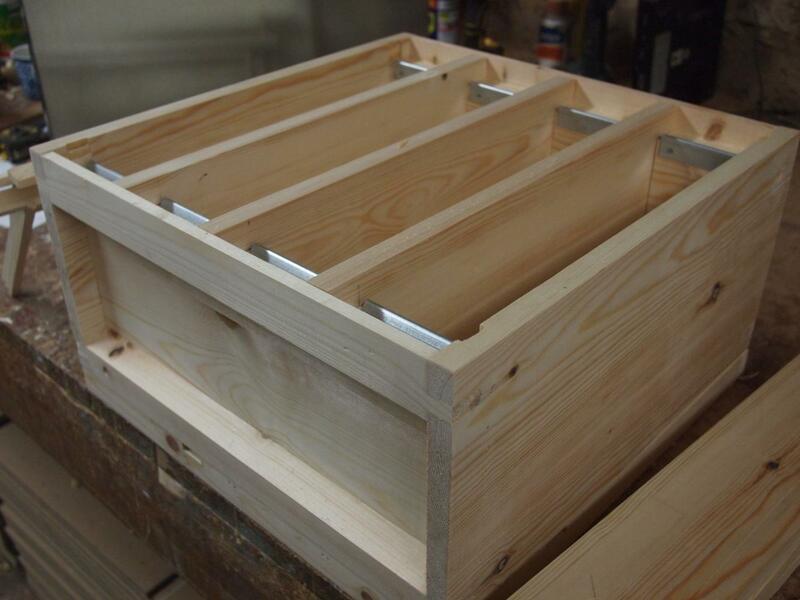 This stack of National Hive Brood Boxes in Red Deal has just been completed and is now ready for putting on a pallet for delivery to our beekeeper customer in Herts. After sizing it up for delivery it was decided that a single pallet would be better as it would have taken 8 individual packages to be sent by the normal courier route. We did have a relatively quiet period in November when I managed to get more or less up to date with the order queue but with the new season that’s now history and we’re as busy as heck and I’m currently working 7 days a week in the workshop trying to get on top of the workload. 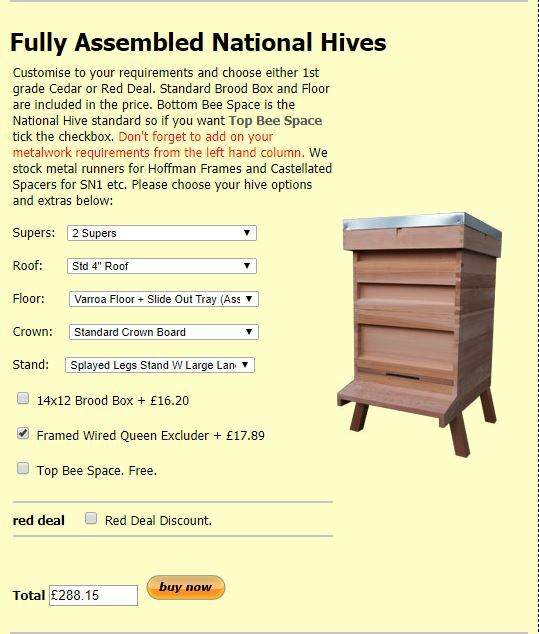 Thankfully Peak Hives tends to attract customers that understand that when ordering from a cottage industry there may be a wait between clicking ‘buy now’ and delivery. We really do appreciate our clients patience. Our customer satisfaction rate suggests they think it’s worth it. Coming to Tideswell on 10th May – The Honey Man, by New Perspectives Theatre Company, about a bee keeper. I’ve been asked a number of times for these so I set aside some workshop time to make up the required jigs and ensure that they could be manufactured to a consistent high standard. 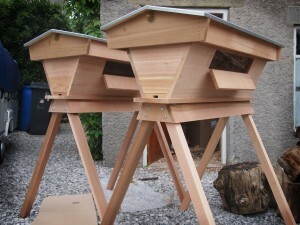 That done I have now added them as a product in the left hand column and they are also an option on our National Hives. 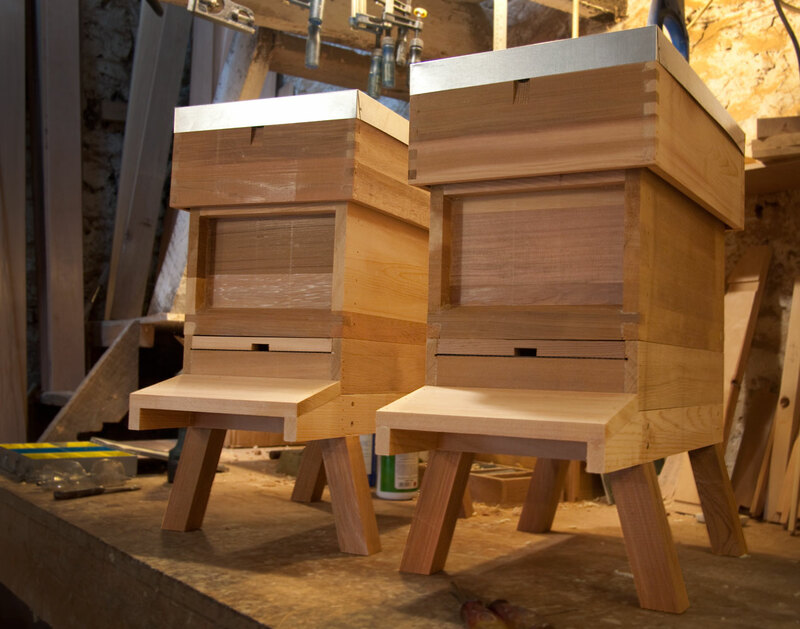 Apart from looking good, the splayed legs add stability and the longer landing board should be appreciated by both bees and beekeeper alike.